Last year researchers of the institutions of the ETH Domain started 50 spin-offs. And with a combined total of 30,351 students and doctoral students, the two Federal Institutes of Technology exceeded the 30,000 threshold for the first time in 2016. This information can be found in the recently published Annual Report of the ETH Domain. 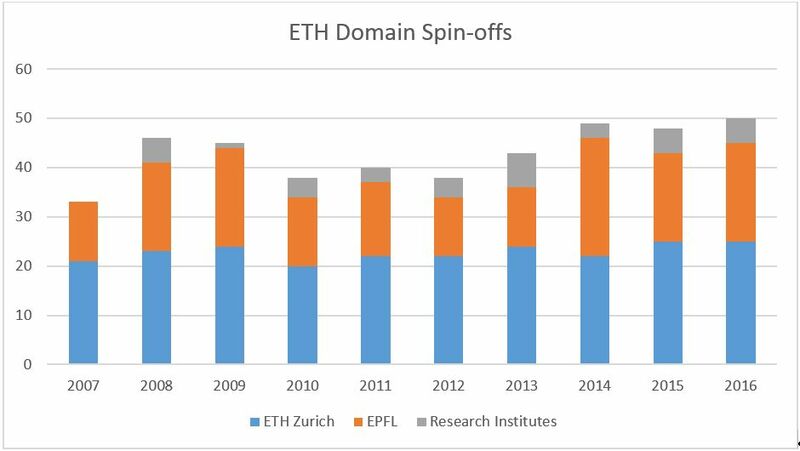 Last year, the institutions of the ETH Domain reached new record levels with both the foundation of 50 spin-offs. 25 start-ups were founded at ETH Zurich, 20 at EPFL. 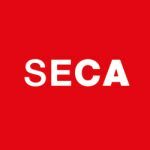 The remaining five companies were founded by researchers of the other four research institutes PSI, WSL, Empa and Eawag. The long term is encouraging. Ten years ago only 33 spin-offs have been founded. The number of patent applications reached also a record high with 230 patent applications (2015: 219). The ETH Domain educates urgently needed specialists who make a crucial contribution towards know-how transfer in the economy and in society. In 2016, approx. 7,000 people obtained a degree from one of the two Federal Institutes of Technology. The ETH Domain’s value for Switzerland’s innovative power also manifests itself in its commitment to the Swiss Innovation Park. The ETH Domain is actively involved in four of the five locations and thus plays a key role. The international rankings of universities reveal the outstanding achievements of ETH Zurich and EPFL. ETH Zurich has confirmed its standing among the top 10 universities in the world according to the THE (8th) and QS (9th) World Rankings. EPFL defended its first place worldwide among the universities founded in the past 50 years. Among European universities, both ETH Zurich and EPFL are in the top ten of both the THE and the QS World Rankings for the first time. Studying at ETH Zurich and EPFL is highly popular. In the last ten years, the number of students and doctoral students rose by 55% - from just under 20,000 to more than 30,000. In 2016, the number of new undergraduate entrants reached the new record level of 5,531 (2015: 5,290), with the greatest increase registered in the subject areas of “Information and Communications Technology”, “Life Sciences”, and “Exact and Natural Sciences”. The proportion of women undergraduates reached the 30% threshold for the first time (2015: 29.2%). Among the professors, the proportion of women amounted to 13.9%, which was tantamount to a slight increase in comparison with the preceding year (2015: 13.7%). It was particularly gratifying to see that the proportion of women in appointments to full professors was 31%. The proportion of women among professors can therefore be expected to continue to rise in the future. The Annual Report 2016 of the ETH Board on the ETH Domain gives an account of the deployment of funds and provides various performance indicators in the fields of teaching, research, and knowledge and technology transfer. It can be downloaded from the website of the ETH Board.